How sustainable is this World Cup? Now that we can all breathe again following Monday night’s World Cup wobble for England, we thought we’d share with you a great thought-inspiring read from our friends over at Edie.net who have pulled together this excellent look at the sustainability of this great festival of football. With the eyes of the world on Russia for the next three-and-a-half weeks, it can’t do any harm to put the event under the sustainability scrutiny and make people stop and think about the impact ‘the beautiful game’ has on our (even more) beautiful planet. As the first sporting body to sign up to the UN’s Climate Neutral Now scheme, FIFA is targeting emissions neutrality by 2050. Back in 2014, The Fédération Internationale de Football Association (FIFA) marketed the Brazil World Cup as the “greenest” iteration of the event, citing the fact that the Estádio Nacional Mané Garrincha in Brasilia had more solar energy than eleven of the competing nations as evidence that the tournament was a “Copa Verde”. Fast forward four years and the event in Russia looks to build on Brazil’s efforts. Under a cloud of concerns over discrimination, hooliganism, allegations of corruption and military conflict it is hard to view Russia as sustainable hosts. But with greenhouse gas emissions set to be 550,000 tonnes lower than that of the South American tournament, despite a higher number of fans and staff expected to take part, efforts have at least been made to align the 2018 World Cup to environmental considerations. As the first sporting body to sign up to the UN’s Climate Neutral Now scheme, FIFA is targeting emissions neutrality by 2050. For the 2018 event, the association has additionally committed to offset the 243,000 tCO2e emissions it claims are “unavoidable” but “over which it has operational control”, and has offered free carbon offsets to ticket holders for the first time as it strives to align itself with the expectations of the Paris Agreement. On the surface, progress looks positive, but diving deeper into the data reveals that FIFA’s emissions-neutral aspirations aren’t befitting of the “beautiful game”. A key sustainability consideration with any major sporting event is always the vast carbon footprint, and this summer’s biggest tournament is no different. FIFA estimates that during preparations for the tournament and throughout its duration, 2.17m tonnesof greenhouse gas emissions will be emitted – down from 2.72m tonnes recorded in Brazil. As usual, it predicts that the vast majority (98.6%) of this figure will be accounted for by indirect (Scope 3) emissions, with travel alone set to pour 1.6m tCO2e into the atmosphere. Because international travel alone is expected to account for 57% of the event’s total emissions, FIFA is offering free carbon offsets to ticket holders for the first time, giving those who sign up a chance to win tickets to the final. 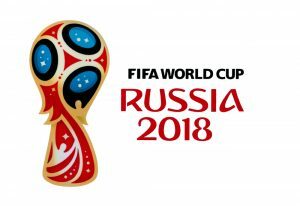 For each ticket holder signing up to the initiative on its website, FIFA says it will offset 2.9 tonnes of carbon dioxide, the estimated emissions of an average ticket holder travelling to Russia from abroad. So far, so good – but the scheme is capped at 100,000 tonnes of GHGs, or 34,500 fans, even though more than three million spectators are expected to attend the month-long event. FIFA therefore has only committed to offset up to 343,000t CO2e in total, which is 16% of the event’s total predicted emissions. This is not the first time carbon offsets have caused friction at the World Cup. In 2014, the Brazilian Government’s launch of an offsetting scheme to reduce emissions from the event using a voluntary cancellation of carbon credits drew much excitement, but was later denounced as “hot air” by theEnvironmental Defense Fund. Moreover, FIFA has faced criticism for using carbon reduction initiatives in its marketing while signing sponsorship deals with companies in the carbon-intensive transport and mobility sectors, including Qatar Airways, Hyundai and Kia Motors. In fact, the official partner of the 2018 World Cup is indigenous oil and gas giant Gazprom – part-owned by the Russian Government – which is the first company to have pumped oil from the Arctic shelf. Given that just 3.6% of electricity in Russia came from renewable sources last year, it comes as little surprise that none of the 12 stadiums being used for the tournament have onsite renewable installations. In contrast, Brazil’s Estádio Nacional Mané Garrincha included a 2.5MW-capacity solar array, while stadiums such as the Amsterdam ArenA are now incorporating battery storage to compliment onsite renewables. However, all of the stadiums in Russia are expected to be certified as “International Bespoke standard” by BREEAM by the time the event finishes, with five of the stadiums having gained interim certification as of January. 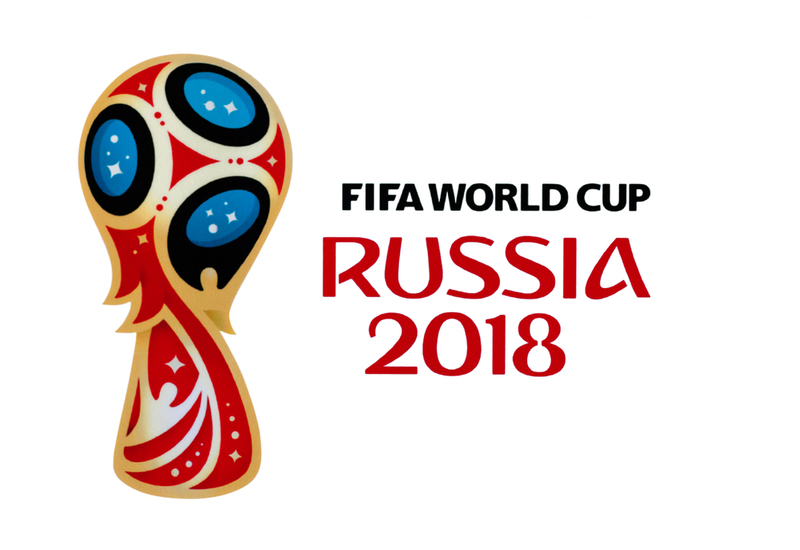 The event will be the first where FIFA has pledged to ensure all venues comply with an internationally recognised green building standard, with built-in energy efficiency measures including metal-halide lamps, LED lighting with either darkness or motion detectors and rainwater harvesting systems at the stadiums in Saransk, Kaliningrad and Rostov-on-Don. Moreover, each facility has been designed to minimise the need for artificial lighting by allowing as much natural daylight in as possible, with electric-free hollow tubular skylights installed in some of the stadiums’ catering facilities. However, Russian activists are now claiming that some of these “green” stadiums have been built at the expense of vulnerable ecosystems. The Kaliningrad Stadium, for example, will feature matches from both England and Spain, but has supposedly been constructed on top of one of the area’s last wetlands. Constructing all 12 stadiums as well as temporary facilities for “Fan Fests” is set to account for 91,792 tCO2e, FIFA claims, adding that regional materials manufactured in proximity to the construction sites have been used “wherever possible” to cut emissions – but FIFA’s “more sustainable stadiums” reportalso looks past the construction and initial use of the facilities and into their futures. It emphasises the importance of ensuring the venues do not become ‘white elephant’ constructions, after the development of a number of stadiums and structures for previous sporting events – such as the 2014 Brazil World Cup – that now sit unused. “The legacy use of stadiums, infrastructure that has no adverse impacts on biodiversity, increased environmental awareness and more people partaking in physical activity will greatly vindicate all sustainability efforts,” the report states. However, the document stops short of explaining how such management will be organised, or which key performance indicators FIFA will set to measure whether it has met its long-term sustainability aims regarding the built environment. As the wider sporting world moves to crack down on waste with moves such as the Premier League pledging to remove all single-use plastics from its operations and events by 2020, FIFA’s waste strategyfor the World Cup is noticeably vague. Lacking statistics and numerical targets, it sets an aim of “ensuring efficient and sustainable World Cup-related waste management”, with waste-reduction measures including banning non-recyclable tableware, cutlery, packaging and plastic bags from stadiums, offering hand dryers instead of paper towels in event toilets and using digital rather than paper-based communications “wherever possible”. And while FIFA has committed to drive behaviour change among fans and stadium staff by offering a waste training programme to all employees and providing spectators with information on what type of waste can be recycled, bans on single-use items or the use of recycled materials is noticeably absent from the strategy. In Brazil, the tournament saw 39% more waste recycled than FIFA’s target of 320 tonnes after separate bins for recycling and general waste were used for the first time– but the event nonetheless created 776 tonnes of recyclable and 1,595 tonnes non-recyclable of waste, with no less expected to be produced in Russia this summer. The world of sports is evolving, the Premier League and the England cricket team have both joined the fight against plastics, while stadiums and kit manufacturers have inked new supply deals to accelerate the shift to the low-carbon, resource-efficient transition. It appears then, that FIFA has missed an opportunity to use the 2018 World Cup as global platform to champion sustainability and looking ahead, environmentalism will continue to be left on the subs bench in favour of political and economic opportunities. The Qatar World Cup, scheduled for 2022, has been accused of transforming workers into “slaves” andstadiums into “mausoleums”. Elsewhere, Morocco’s bid to host the 2026 World Cup – featuring six 46,000-seater stadiums that meet BREEAM and HQE certification, set to generate up to 224MWh of renewable electricity annually and be part-dismantled to promote reuse – has been cast aside in favour of a joint bid between Canada, Mexico and the one nation that has walked away from the emblematic Paris Agreement – the US. FIFA isn’t exactly decorated as an ethically-run organisation, but in an attempt to put spectres of corruption and scandal to rest the footballing body is perhaps missing a trick by not weaving sustainability into every aspect of its decision-making process.